1.Make yourself more visible at night with our Purple LED Patrol Wand. 2.This 10 inch light up Purple wand is an important item to have if you're heading out for a nighttime run, working as a community safety advocate, or just need a powerful safety device. 3.Set your light up Purple wand to flashing if you need to catch the attention of neighbors or passing motorists or stead on when you need to light the night. 4.Stock up and keep a few Purple LED wands in kitchen drawers, the car and boat, by your bedside, and in the garage so you're prepared for any event. 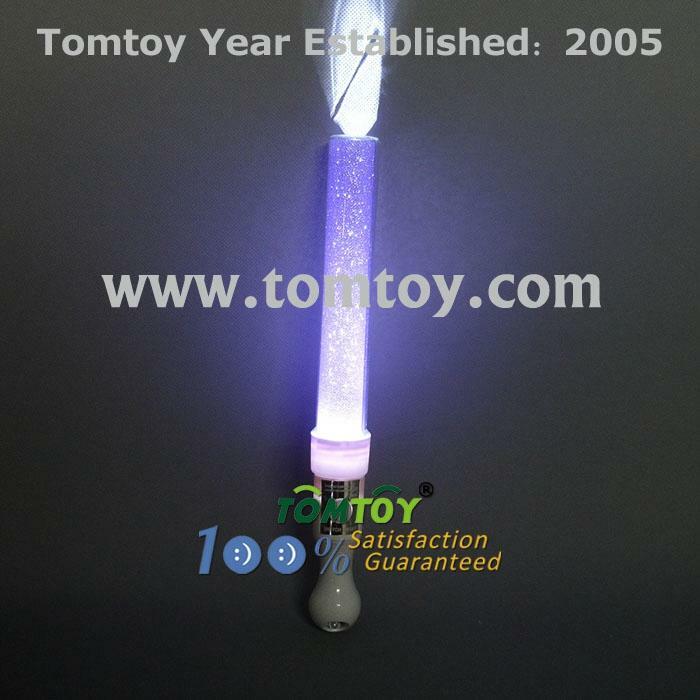 5.Our Purple LED Patrol Wand comes with 3pcs AG13 batteries included and installed.